Grey’s Anatomy (television) Hour-long drama program, premiering on ABC on March 27, 2005. Grace Hospital has the toughest surgical residency program west of Harvard, a brutal training ground for the newest medical recruits. 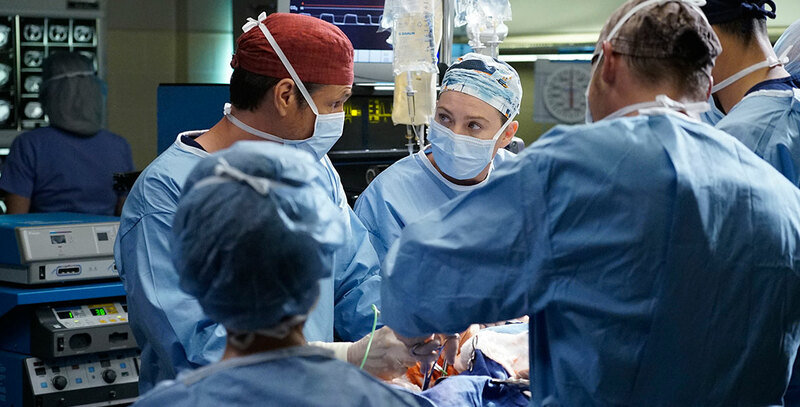 Meredith, Izzie, Christina, and George are the latest aspiring surgeons, trying to make it through seven years of the finest hell Grace has to offer. Along the way, they have to deal with impossible bosses, lack of sleep, sick parents, one-night stands, and housing crises, with only each other to rely upon. Stars Ellen Pompeo (Meredith Grey), Patrick Dempsey (Derek Shepherd), James Pickens, Jr. (Richard Webber), T.R. Knight (George O’Malley), Sandra Oh (Christina Yang), Katherine Heigl (Isobel “Izzie” Stevens), Chandra Wilson (Miranda Bailey), Isaiah Washington (Preston Burke). From Touchstone Television. A Spanish-language version entitled A Corazón Abierto was produced for the Latin American market.